Beginning this year, SAA books will include permalinks for all cited web resources, not just those that have been assigned a DOI or some other permalink. This is possible because SAA’s book publishing program recently joined forces with perma.cc. SAA’s participation in the service is sponsored by the Digital Public Library of America and we hope it sets a model for other association publishers outside of law journals, for which perma.cc was originally developed. When logged in at the perma.cc site, [book author Anthony] Cocciolo sees folders showing sites that have been archived both for his project and for other SAA book projects. This helps him keep track of his own citations and to see what other SAA authors are citing, while also helping editors improve the quality of SAA publications. 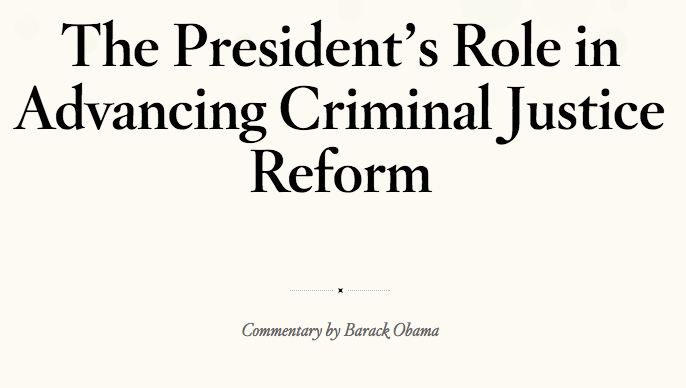 In other news, President Obama penned a Harvard Law Review article on the President’s role in advancing criminal justice reform. This is the first time a sitting president has written a law review article. The article includes 226 web citations, each of which include a Perma Link- ensuring readers of the article will have access to archives of the cited webpages, even if the source page changes or is taken down. We’re excited Perma.cc is proving such an effective tool for the SAA, the HLR and President Obama to use for preservation and citation! Check out the SAA article in full here, and Pres. Obama’s article here. Interested in trying out Perma yourself? Create your own account!